Pick a spot in the sand away from the rising tide and lay a large, thick blanket on the beach. Bring along camp chairs or cozy outdoor cushions to sit on. Finally, set up a large umbrella for shade. Voila! 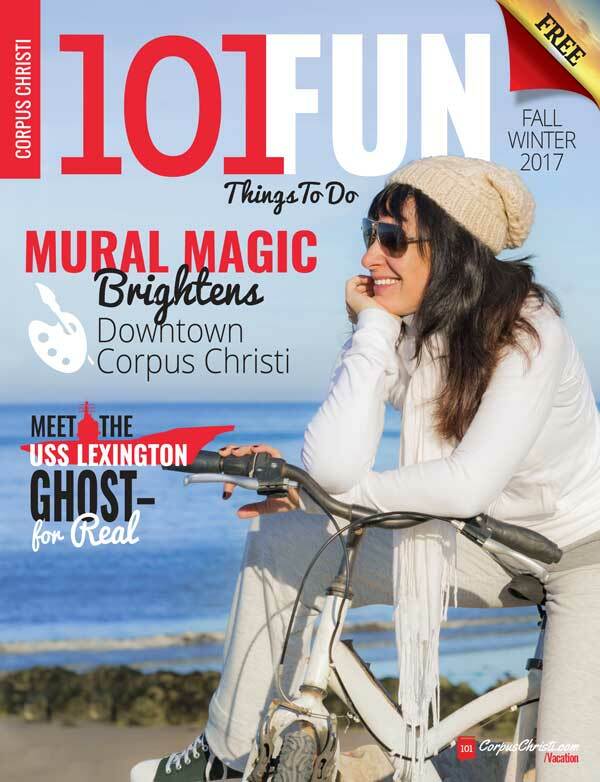 Pack a light read, sandcastle supplies, yard games and more to stay entertained. 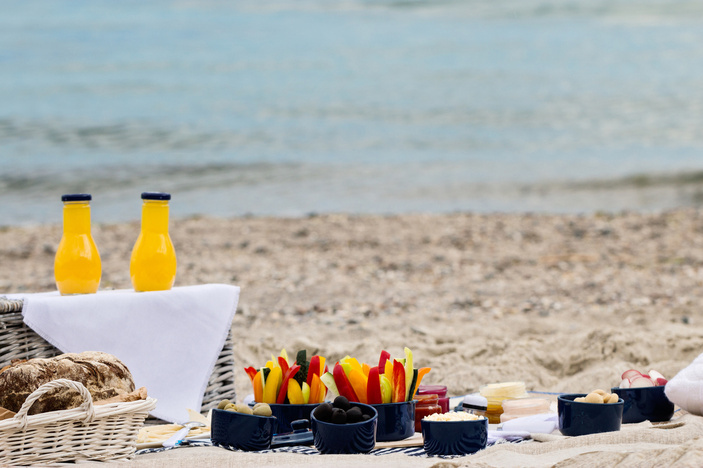 Get your food ready before you go so you don’t have to prep on the beach. Try one of these easy recipes from your local H-E-B: turkey hummus wraps, summer pasta salad or sweet corn slaw. Bring plenty of fresh fruit such as watermelon, orange slices and grapes — these sweet treats also pack a punch of hydration. After prepping, pack your food in small, stackable plastic containers. Keep your picnic trash-free: Don’t bring plastic bags or other single-use containers to the beach. Set a bottle of baby powder outside your picnic basket. Before reaching your sandy hands into the basket, puff the powder on your hands and rub. The sand will fall right off, so you can reach in with clean, dry hands. Let your picnic last into the night with a bonfire on the beach. Bring along everything you need for making s’mores and roasting hot dogs. Be sure to pick up a bundle of firewood at area hardware, grocery or convenience stores. Beach bonfires should be no more than 3 feet high or wide and contain no construction scraps. Follow our tips to build a (legal) bonfire on the beach. Don’t bring glass to the beach — or risk a hefty fine. Bring along reusable cups, plates and cutlery. Keep in mind that single-use plastic items such as straws and water bottles are the most common items polluting the ocean. Please don’t litter, and pack out what you pack in!